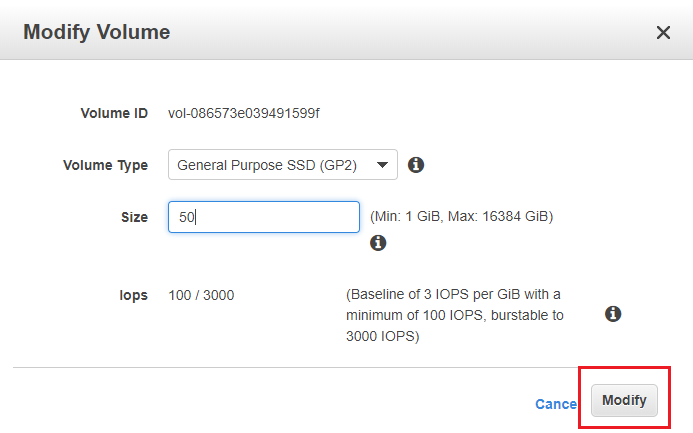 If we face data limitations in our EC2 instance's volume, we can modify or resize it. 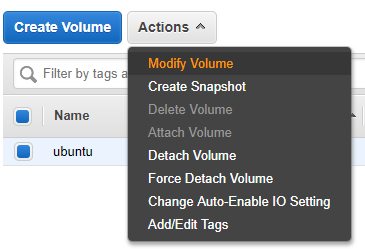 In this tutorial, I will show you how to increase the EBS volume size in AWS using a Linux instance. You can also perform this step in running instance without stopping it, but if possible to take downtime, then I suggest stopping the instance. Here insert a new value of SSD size. Here it will ask for your permission. Wait for few minutes till it goes an in-use-completed(100%) state. Whenever state changes to in-use - completed state, Login in an ec2 instance and follow the below steps. Using df -h command check partition is extended or not.